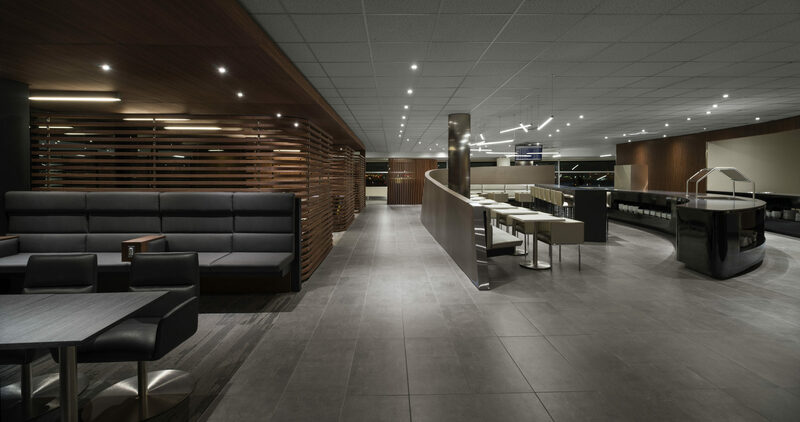 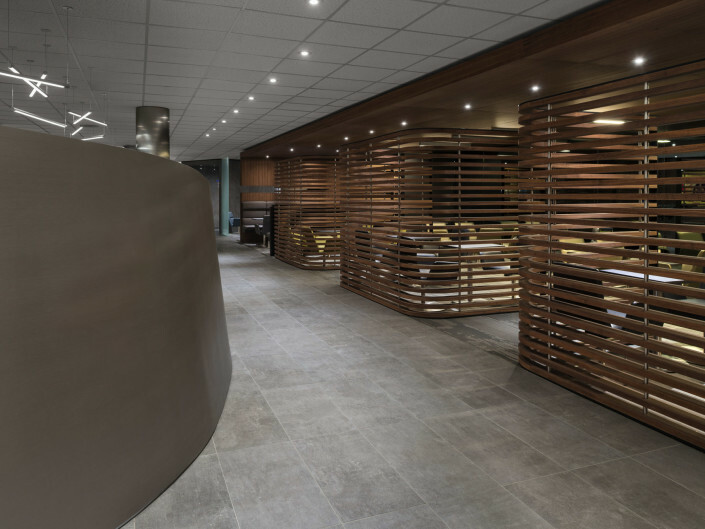 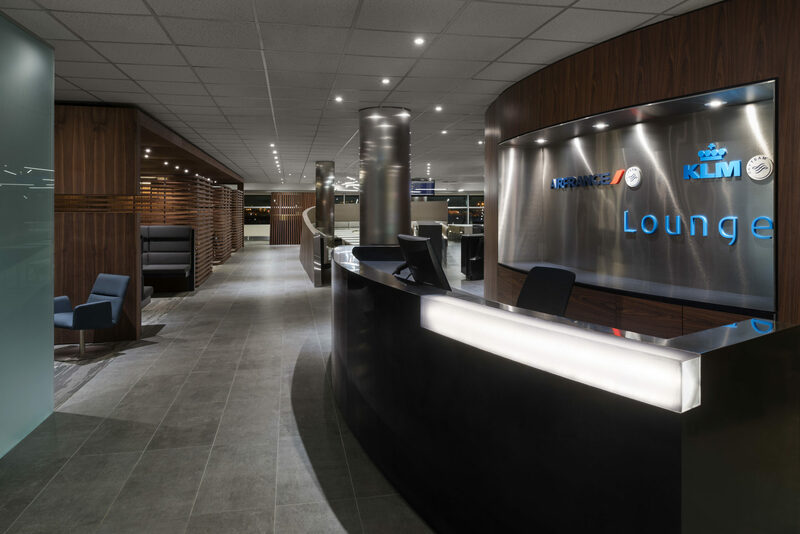 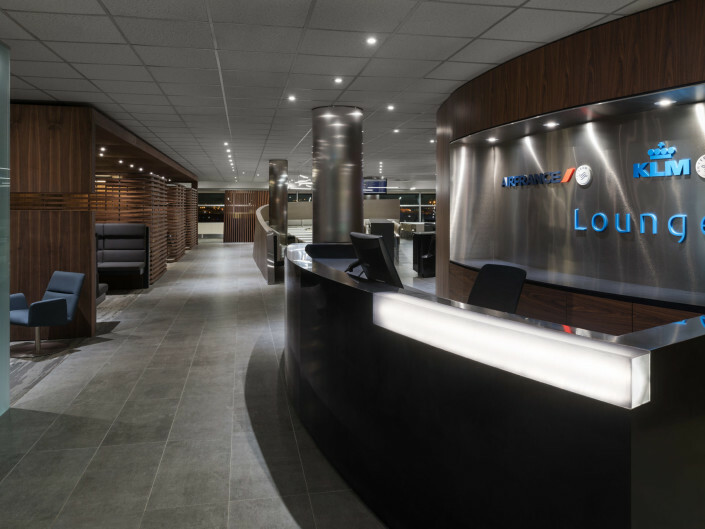 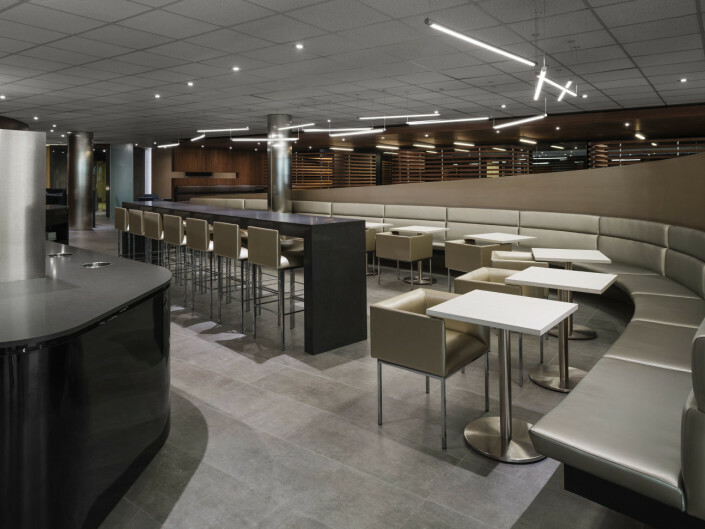 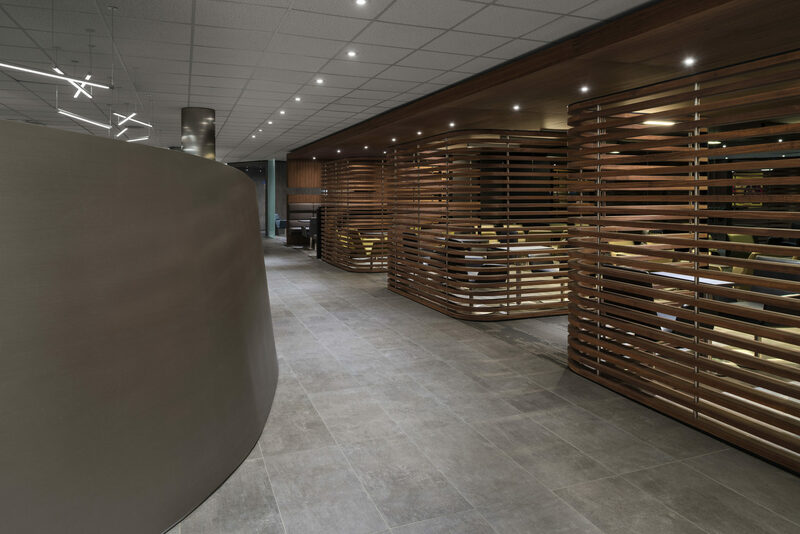 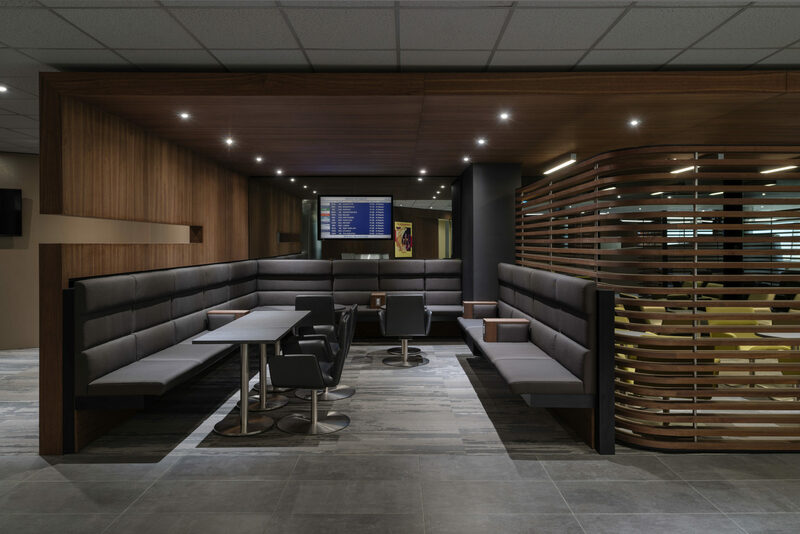 Located at Toronto Pearson International Airport, the design objective was to create a spatial brand for the Air France/KLM Lounge. 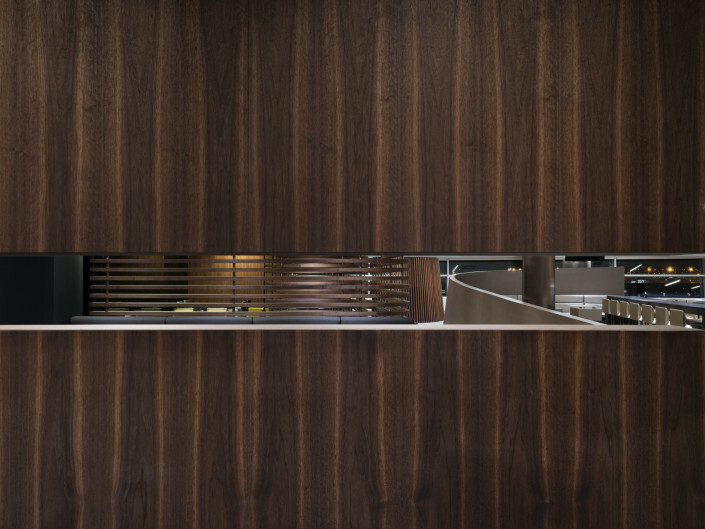 Developed through a methodology of creating ‘narratives of inhabitation’, a story and relevant metaphors were utilized as a means of generating form. 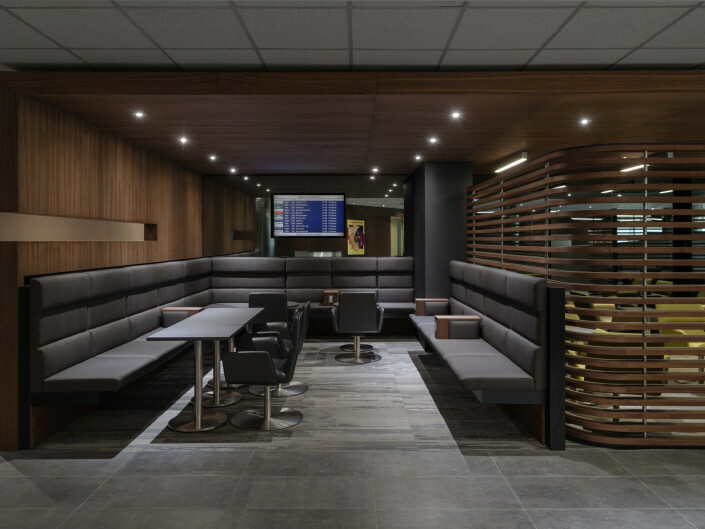 Inspired by notions of flight and aviation, the intention was to create a space that could evoke shared archetypal memories, such as a child enacting the wonder of flight, playing with model airplanes and the pleasure received by take-off and banking, over and over again. 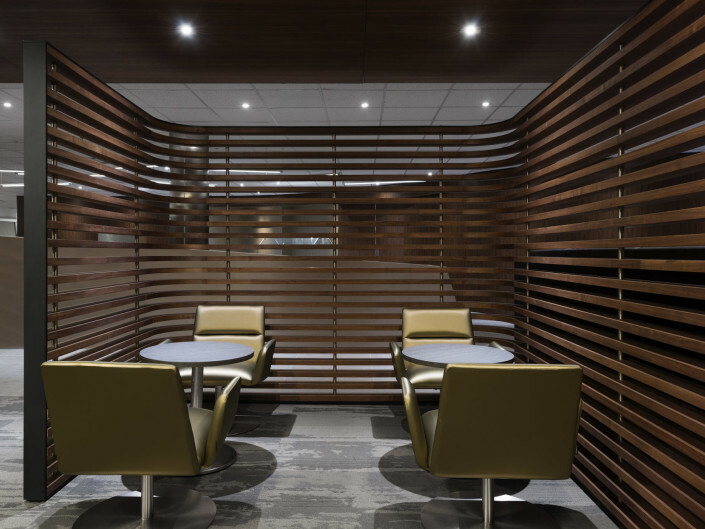 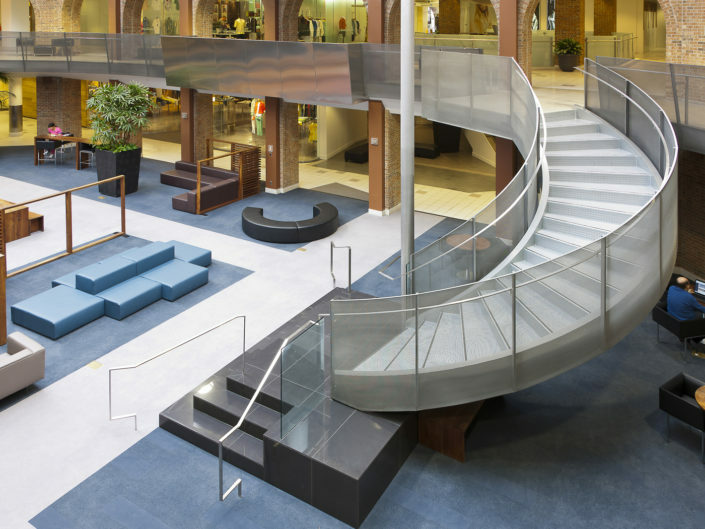 This simple and universal act forms the primary organizational element and movement through the space, realized as a sculptural form with rising and arcing walls that also separate programmatic areas. 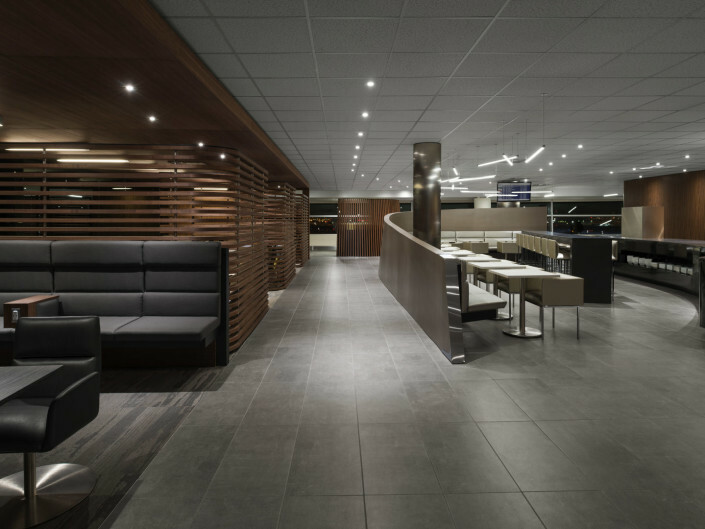 dining, lounging and work space, to private and family or group areas. 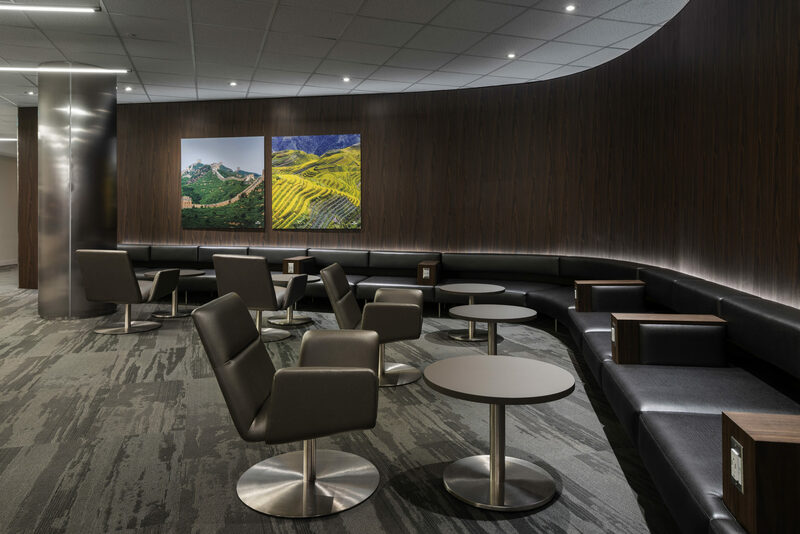 All seating areas feature charging capabilities. 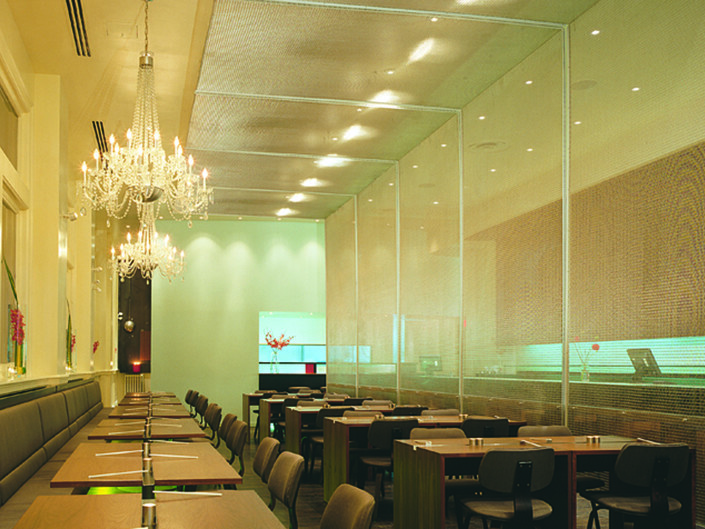 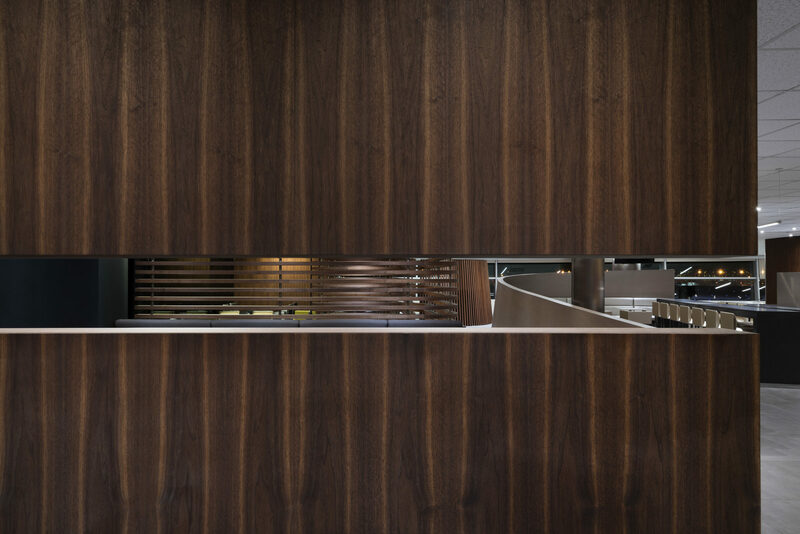 The servery/dining area functions as the central “square” or hub from which one can disperse into the quiet or intimate areas. 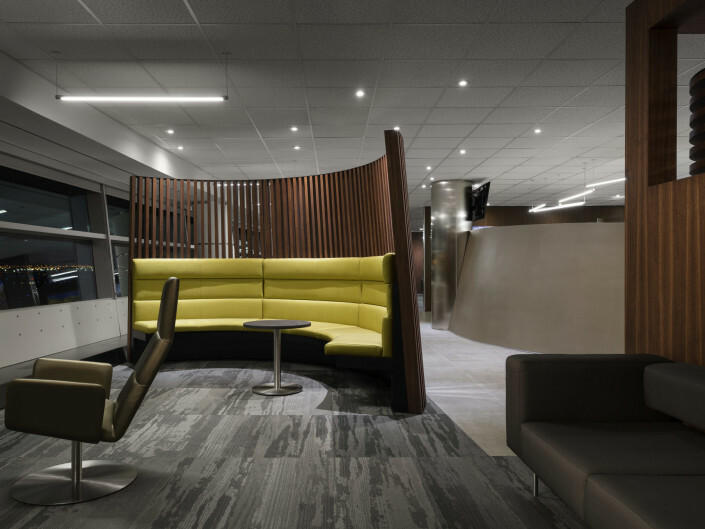 The strategy was to create clear and intuitive areas of movement and levels of repose, utilizing flowing forms evocative of flight to subtly direct one through the lounge where one will discover vignettes offering a variety of choices in seating types. 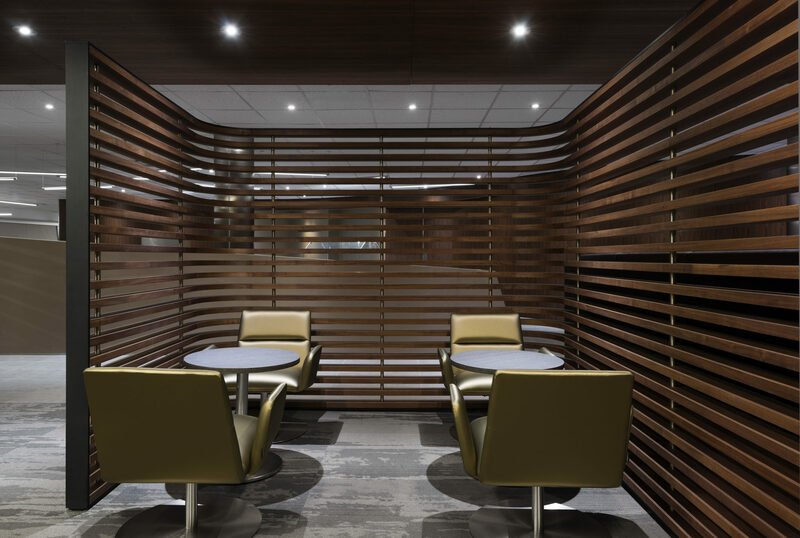 The use of metallic finishes – including the furniture upholstery and the metal finish of the columns – is balanced with curved screens in walnut veneer that create seating vignettes and privacy. 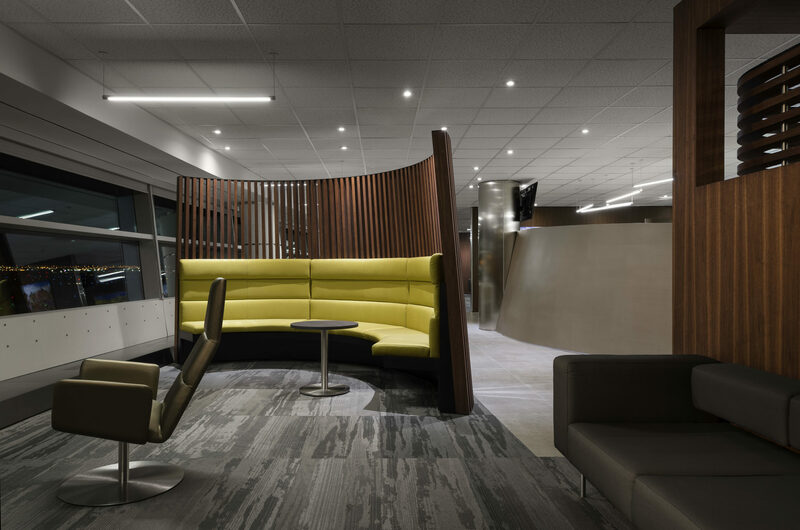 The various types of seating, all custom-designed by the studio, further evoke flight through metallic fabric upholstery and aerodynamic forms. 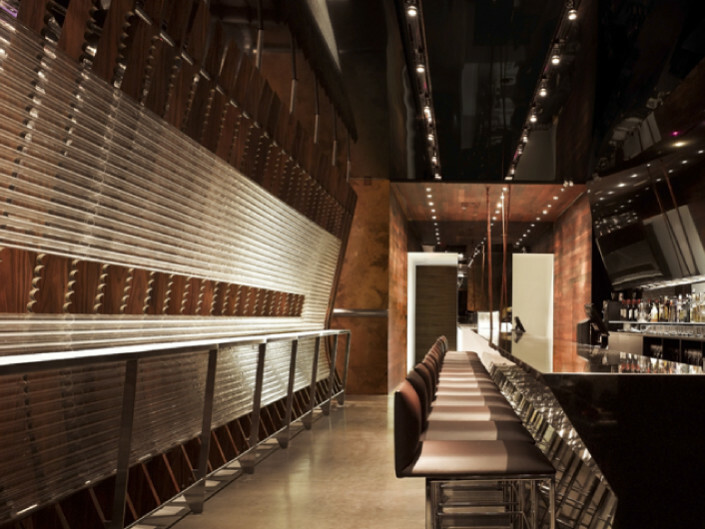 One chair in particular,seen throughout the space in various forms as both a side chair, lounge and wing-back chair, further evokes flight with its subtle winged arms. 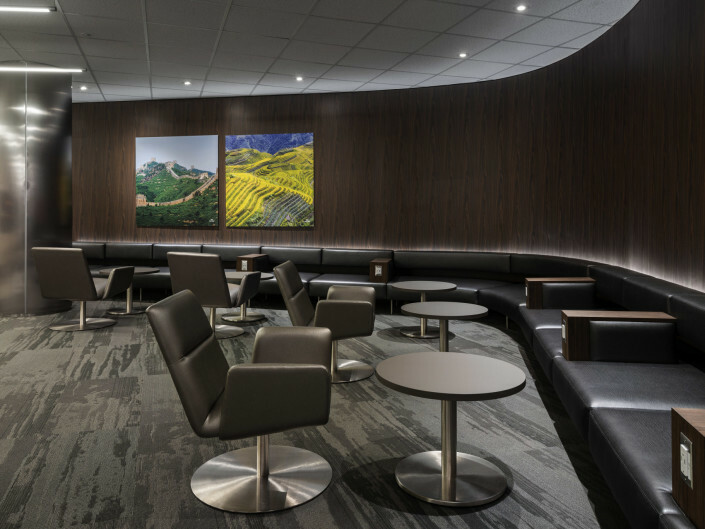 The lounge chairs (ideal for sleeping) sit facing the expansive windows where one can lean back and view actual take-offs and landings.